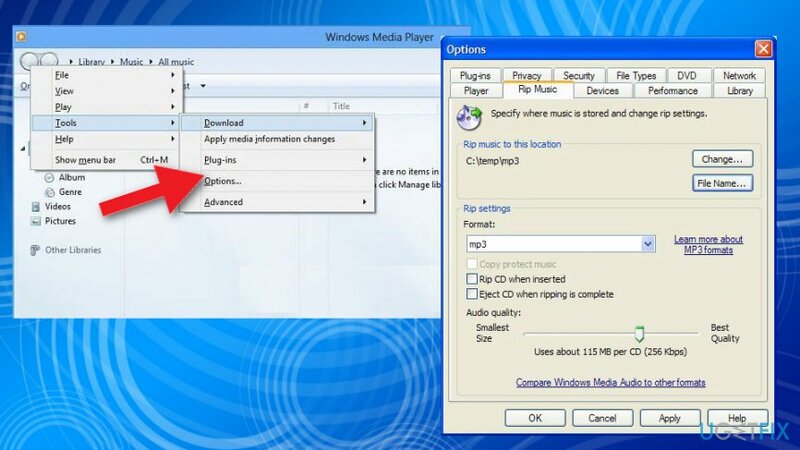 Home »	Fix » How to fix “Windows media player cannot find the file” error? Issue: How to fix “Windows media player cannot find the file” error? There are some troubles with my Windows Media Player. Whenever I try to insert a CD into my drive and rip some files, I get a message “Windows Media Player cannot find the file.” If I click on the notification, I’m informed about files that have been removed old time before. Do you have any ideas what’s the matter? “Windows media player cannot find the file” error is known for ages. Thousands of people have encountered and, we believe, solved this error quite easily. Usually, this error notification shows up when people attempt to play music from a CD, from a library or when trying to copy some files from or to CD/library. The error “Windows media player cannot find the file” appears when the user wants to open an audio or video file using Windows Media Player. The process like trying to burn, play or sync an item that is in your library may cause this error. Also trying to play music from a CD or attempt to copy some music files. The first reason that may be checked is the format of the file and Windows Media Player compatibility. You can check if the program supports the format of the said file. Also, renamed, moved or deleted file can cause the occurrence of this “Windows media player cannot find the file” error. Since “Windows media player cannot find the file” shows up on Windows operating system supporting machines, various OS updates, and bugs may cause the issue. So updating the system or the program may be the first solution you should try. When that is not working for you, you can check additional methods listed below. If you need help you to fix “Windows media player cannot find the file” error, then we highly recommend you to use a tool that could find and remove the cause automatically or fix related issues. It even detects PUPs or other cyber threats that may cause other issues with your device. For example, you can trust Reimage program. Besides the system checking function this tool is set to optimize PCs, detecting registry, file, software, etc. related problems and solve them. Thus, don't hesitate and try to fix the “Windows media player cannot find the file” error right away. 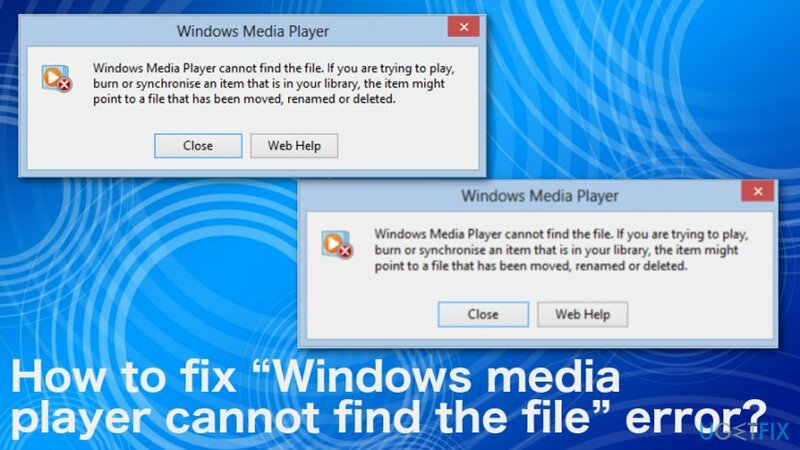 Do you still receive “Windows media player cannot find the file” error message? If you do, then you should check whether your library paths are correct. 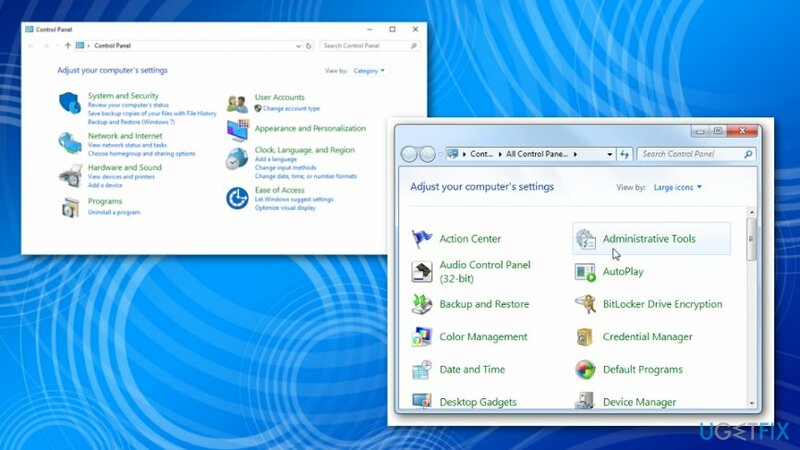 Go to Tools and then Options in Windows Media Player. Then the path to the location where you ripped music appears. However, if it's empty or the location is not the one that you need, then it may be the cause of “Windows media player cannot find the file” error. In order to reset the path, you just have to find the 'Change' button, click on it and type in the path that is required. Find Music, right-click on it and select Properties. Select Include a folder… and select the folder that you want your music to be stored. ^ Windows Media Player cannot find the file.. Answers. Microsoft community. ^ Matt Hanson. Windows 10 October 2018 Update problems: how to fix them. Techradar. The source of tech advice. ^ Cyber threat basics, types of threats, intelligence & best practises. Secureworks. Information security solutions. Kaip pašalinti “Windows media player cannot find the file” klaidą?